In instances where a tooth’s structure is undermined, either through cavities or damage such as chipped, cracked, or broken teeth, fillings are an excellent repair option. To determine whether a filling is the best solution for you, our experienced dentists will examine the affected teeth through several methods so they can pinpoint the exact areas that need the fillings performed. Tooth Fillings come in two forms: temporary and permanent. 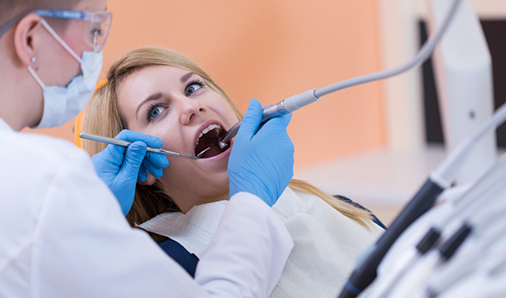 Permanent fillings are intended to protect the tooth for years to come, while temporary fillings play more of a stop-gap role, keeping decay from increasing between visits to our dental office. Temporary fillings are not meant to be a long-lasting solution; therefore, it’s vital to ensure you have a follow-up appointment at our dental clinic in Eagan to have it replaced with a permanent one. Options such as porcelain and resin can be blended in so the restoration is practically invisible to the casual eye. As dental technology has advanced, fillings have become an increasingly convenient, affordable, and a durable technique for treating tooth decay. Fillings can last many years, even decades, ensuring that the treated tooth remains strong and avoids deterioration. Filling materials can restore a tooth to its full function while matching your tooth’s natural color. Need a dental filling? Contact us today to schedule an appointment with one of our friendly dental experts at our dental clinic in Eagan!